The Philippines Catholic Church has apologised for sexual abuse by hundreds of its priests over the last 20 years. The Catholic Bishops Conference of the Philippines said on Monday that it was now drafting guidelines on how to deal with such offences by its clergy. When sexual scandals involving Catholic priests in the US came to light earlier this year, the Philippines media began reporting on abuses by local priests. Monday's statement was the first official response from the Church in the Philippines, where at least 85% of the 76 million-strong population is Catholic. According to the president of the Catholic Bishops Conference, Archbishop Orlando Quevedo, about 200 of the country's 7,000 priests may have committed "sexual misconduct" - including child abuse, homosexuality and affairs - over the past two decades. "To the various crises in society, we must now, with great sorrow and shame, add problems in the Church", said a statement by the bishops read to a news conference on Monday. "Sexual misconduct on the part of shepherds of the flock betrays the holy priesthood that Christ has shared." A protocol is being drafted by the bishops on dealing with sexual abuse cases. The guidelines will include encouraging victims of assaults to file criminal charges, said the president of the Catholic Bishops Conference. 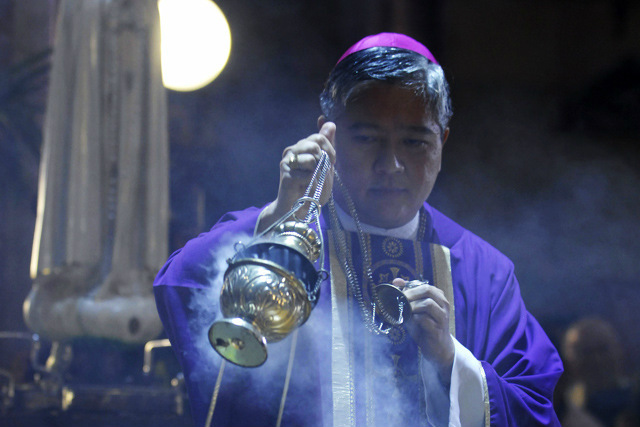 The Philippines is one of several Asian countries which have been wracked by sexual abuse scandals in the Catholic Church in the past few months. Bishops in Australia and New Zealand have apologised to dozens of victims of sexual abuse carried out by priests and police are investigating several priests in Hong Kong for alleged indecent assault.